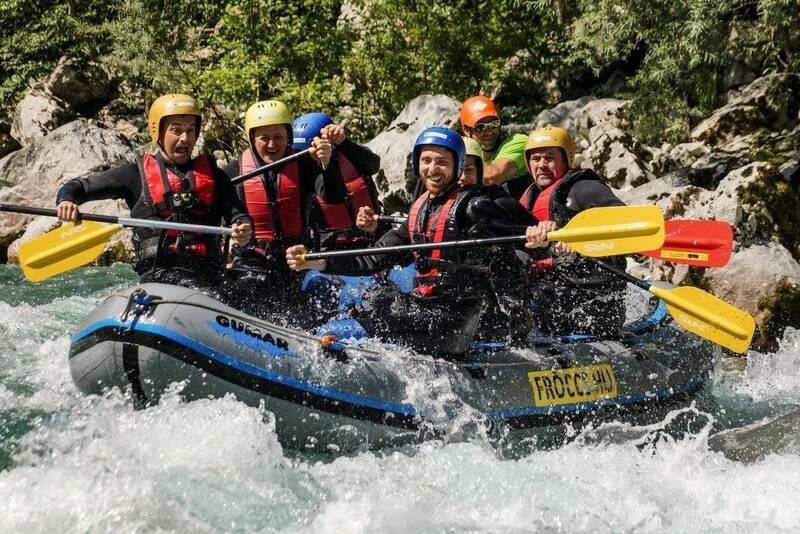 Rafting & Canyoning - World's 2nd friendliest rafting center. Enjoy a half day rafting & canyoning trip. Duration: 2x3-3,5 hours including transport and changing time. 1 1/2 hours on river and in the canyon. We meet about 5-10 min. before departure at our office, on the main square of Bovec, or you can go directly to our base. Front of our base there is a big parking lot so it is better to meet here. You have to check in, arranging the payment and signing the waiver. Your guide will check all the equipment you have, then you will be ready to enjoy the rafting trip. On the first, easier part, of the trip the guide will explain everything, like the procedure if your raft hits a rock or someone falls into the river, and you can practice what you learned. 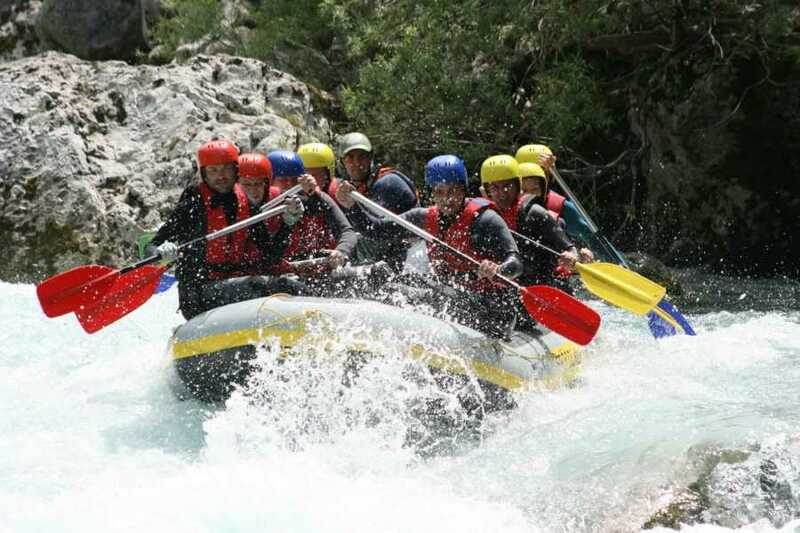 On the second longer and more difficult part, you will work harder and enjoy your unforgettable rafting trip. We promise that when the first wave hits your raft, you will forget your daily routine and problems. 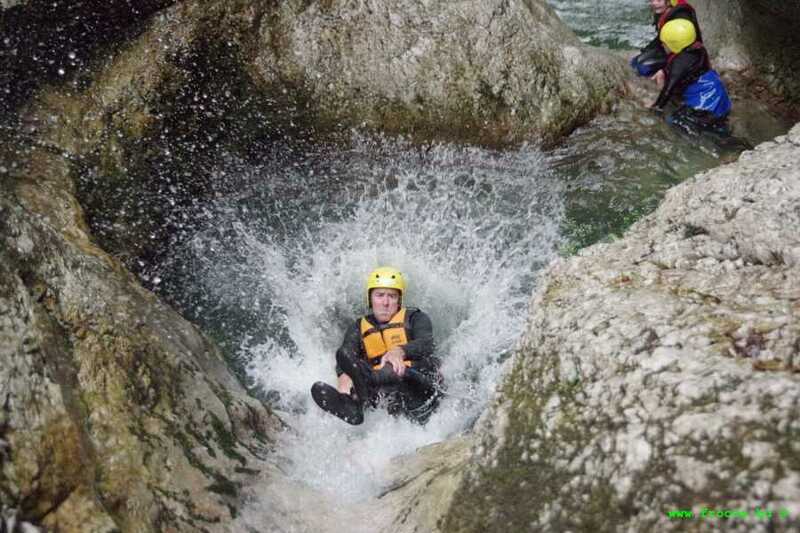 During the trip you can jump from a smaller or bigger rocks into the crystal clear water, swim down on an easy rapid or slide down on the bottom of the raft. Visit our web shop http://photos.froccs.hu 1 or 2 days later because we upload all the pictures that was taken on the trip! Take an easy walk (about 20 min.) to the top of the canyon and then you will have to listen the safety talk. Please pay attention! Every details could be important during the trip. Your guide will check the equipment you have, then you will be ready to enjoy the canyoning trip. The first few slide and jumps are smaller than there are so many big ones. You don’t have to worry if you have fear you can skip any of them but we don’t advice to do canyoning if you have fear of high.